Houston, Texas. I dropped by TXRX Labs to take a tour of their amazing 30,000 square foot hacker habitat which houses a series of labs from rapid fabrication to electronics, wood, art, and computers. Basically everything you might need to build an electric guitar or a legion of robots. As Dan showed me around, I tried very hard not to get too excited at all the amazing equipment and opportunities TXRX provided. After sharing our experiences in maker education, it became very clear that we both are both passionate about education and the future of our technological workforce. Specifically, that creative, hands-on learning opportunities for youth are critical to our economic future yet very few students have access to an education that can transform them from consumers to innovators. Now if articles about teaching snakes to eat raspberries is your kind of jam, you could be in for a disappointment. At first glance, a Raspberry Pi, looks like an old video card from the nineties but it is actually the entire computer complete with processor, video output, and USB. Python is the coding language Dan developed our curriculum around. 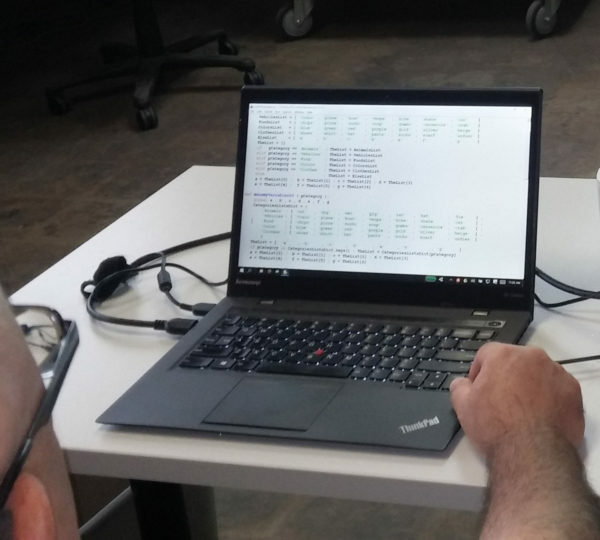 The project is teaching students to create a network of computers and program them to track an object in a 3D environment and provide a musical response depending on where that object is in the space. for opportunities and came across the Mozilla Gigabit Community Fund. 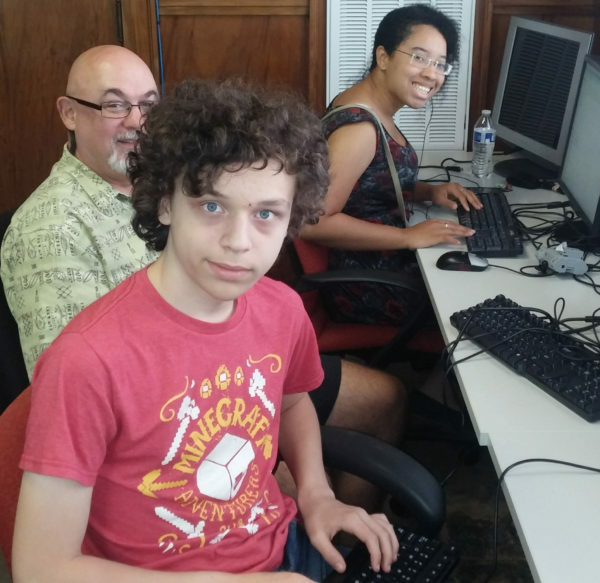 As a project to develop and execute curriculum between a software CEO from Houston and a youth makerspace in Chattanooga, the Mozilla grant seemed like a perfect opportunity. In April, we received the announcement that we were recipients and by the morning of June 6th our first students walked through the door. student had a fully functioning computer and were beginning to create their own virtual musical instruments. Before long, you could hear a cacophony of sounds erupt from the computer lab coupled with laughter. streets. 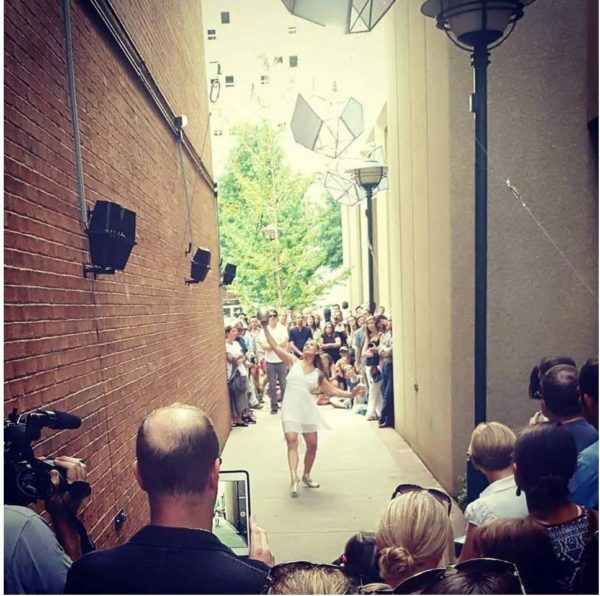 As the students focused on code, we began coordinating between a team of artists from New York creating a visual installation called Stargaze and the Chattanooga Ballet Company to showcase the musically responsive alleyway. It was amazing how many more learning opportunities quickly fell into place. Unfortunately most of that occurred once our students had to go back to school, so students worked on waterproof assemblies for the computers, installing hardware, creating back up systems, and learning the term, “bash to fit”. The biggest asset we really needed more of was time. On top of this, Art 120’s board chair and our install guru, Mike Harrison, had a heart attack. Losing his skills put us in a dire situation. Fortunately, our partners at TXRX Labs saved the day by sending us Diesel. We are not talking about fuel but rather an extremely talented maker and innovator in his own right. Diesel dedicated his time and talent to not only making sure the show went on, but that our students would have a year-round opportunity to use the soundscape as a hands-on lab. soundscape, but most of all, the performance from the Chattanooga Ballet stole the show. Were there complications? No more than the usual when developing a curriculum, a new art form, and a new venue. Was it worth it? ABSOLUTELY! Thanks to TXRX Labs, Jason Helton, Diesel, Dan Mailman, Art 120, and most of all, Mozilla, for making our students shine brighter than the stars. To follow Art 120’s work, follow them on Twitter @Art120org. Have an idea of your own? The deadline to apply for the Mozilla Gigabit Community Fund is October 18, 2016. Like all good “art/tech” projects, we learn and it evolves. We improved the sound quality today, and are increasing the soundscape’s repertoire. My favorite moment so far was watching three young women walking through the passageway, realize what was happening and then run back and forth to trigger sounds. They walked out with a big smile, chattering about their experience.